On Facebook, I am part of a support group for VBAC’s. If you haven’t yet, you can check out my birth stories here Pregnancy and Birth Blog for Pickle and Poppy’s birth blog. In that support group, women are often times asking about how to help their partners prepare for birth. It got me thinking, there really are not a lot of men out there, talking about or posting their children’s birth stories from their perspectives. I asked Chris if he would take part in this and he thought it would be a good idea, since he was once that guy who didn’t know what to expect. We are going to do two separate pieces since both were very different births. Since our son’s birth was first, we figured we would start there. I will just be typing what Chris says. Everything was new to me. I didn’t know what to expect. I was just going off of what you already knew, what people told us, and what the doctor said. I wasn’t really nervous during the pregnancy. I didn’t really feel a connection to the baby, during pregnancy. 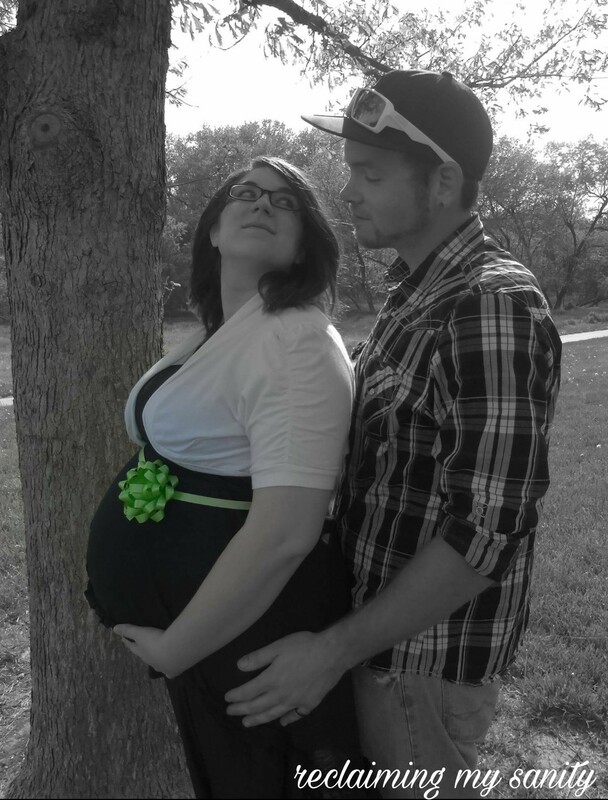 I was naive to everything that went along with being pregnant, obviously because I am not carrying the child. I didn’t know what things I should be concerned about. I just kind of went with the flow. I think we were both in the same mindset, after the doctor explained her concerns to you about him being a big baby. I trusted the doctor, because who else would know any better? Nothing really hit me, until the day came that he was born because I didn’t know what it would be like. When we got to the hospital, it was almost 1am, I was exhausted from having been up early for work. It became a waiting game, waiting to see if you progressed more to be admitted or not. I was too tired and you didn’t really seem bothered by the contractions yet, so I fell asleep. I woke up, around 6am, when the nurse came in with the phone, with your doctor on it wanting to talk to you. She told us we were having a baby today and I was thinking, “okay it is go time.” I called everyone we needed to, to let them know. 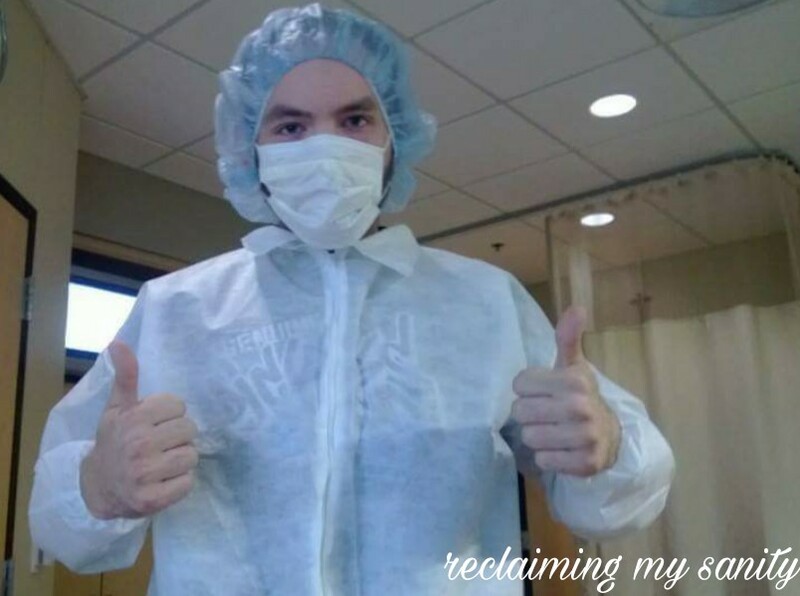 I wasn’t prepared for getting prepped for surgery. I wasn’t sure what to expect since it was an actual surgical procedure. I put on my suit, booties, and hat. I saw them shave your incision area. They made you sign papers about having the surgery. Then your water broke. After waiting for the doctor to get there, they took us to the operating room. 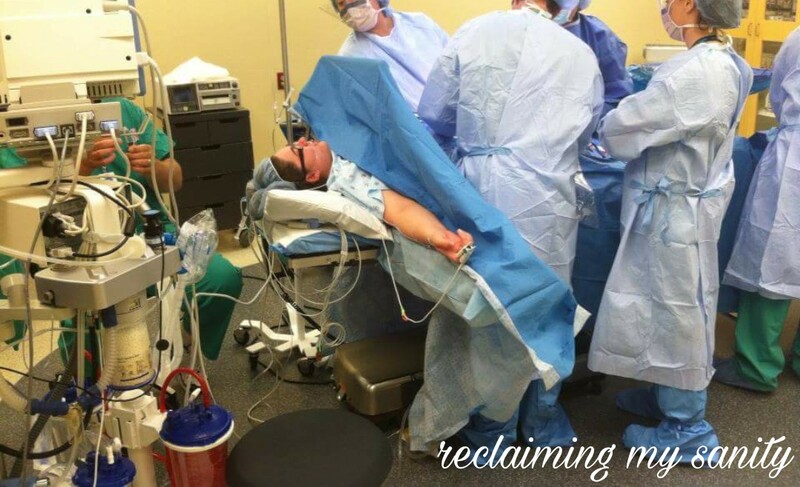 During the surgery, I felt like I was just there like I wasn’t really part of anything. I was standing to the side of you, watching them perform the surgery, without actually seeing any guts because they wouldn’t let me. I didn’t really feel supportive of you because I couldn’t do much, other than stand next to you, while they were cutting you open. Then he was born. I wasn’t as involved as we talked about me being. It wasn’t a very personal experience. I didn’t get to cut the cord (detaching him from you). I only got to cut a little bit of excess off, after they already got him in the warmer. 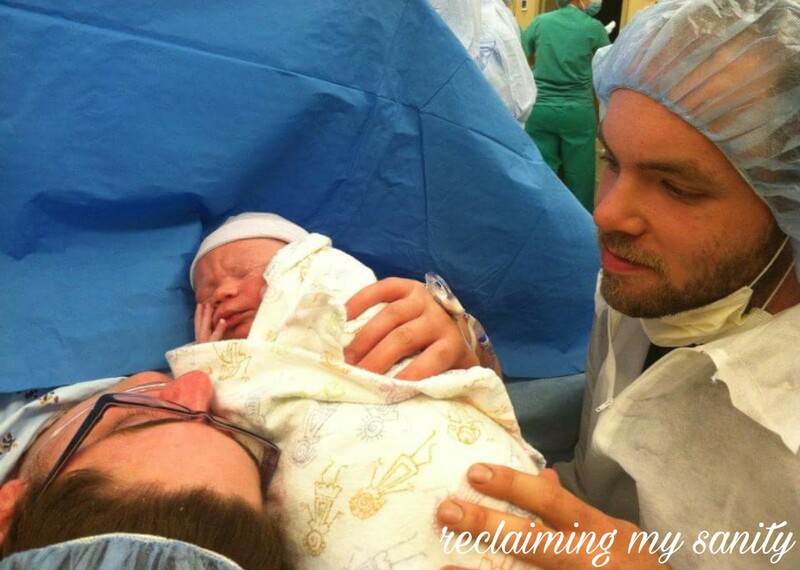 I wasn’t sure what is considered normal during csection births because I only knew what I was told to do. If I knew then what I know now, I would have voiced my opinion more. I would have learned more about births and the things that we could have done differently. 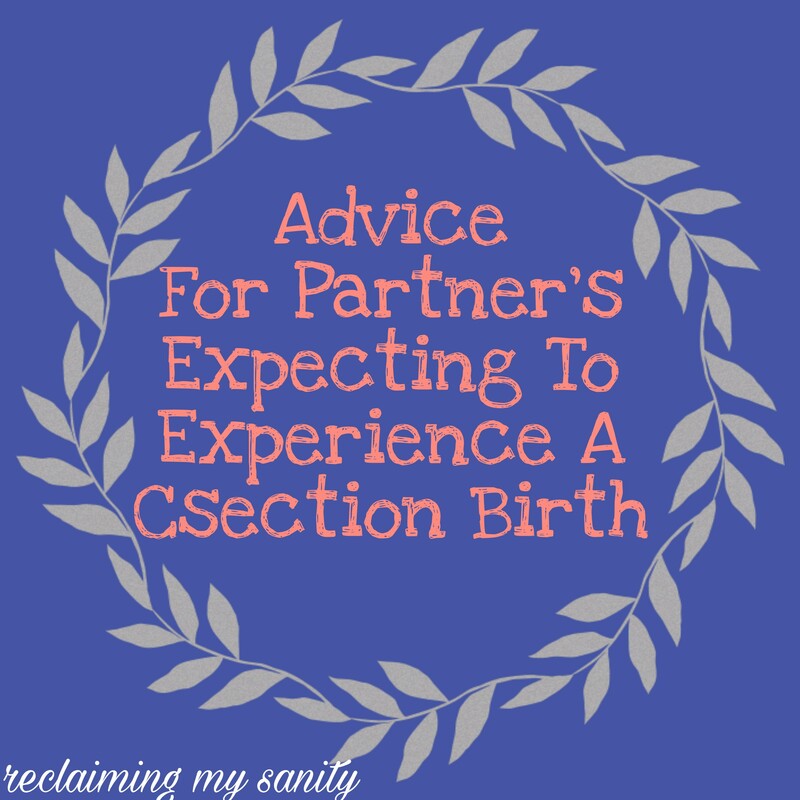 I would have opted for the vaginal birth over the csection because it would have been more of a personal experience for me. Csections, everything is on their time because it is surgical. 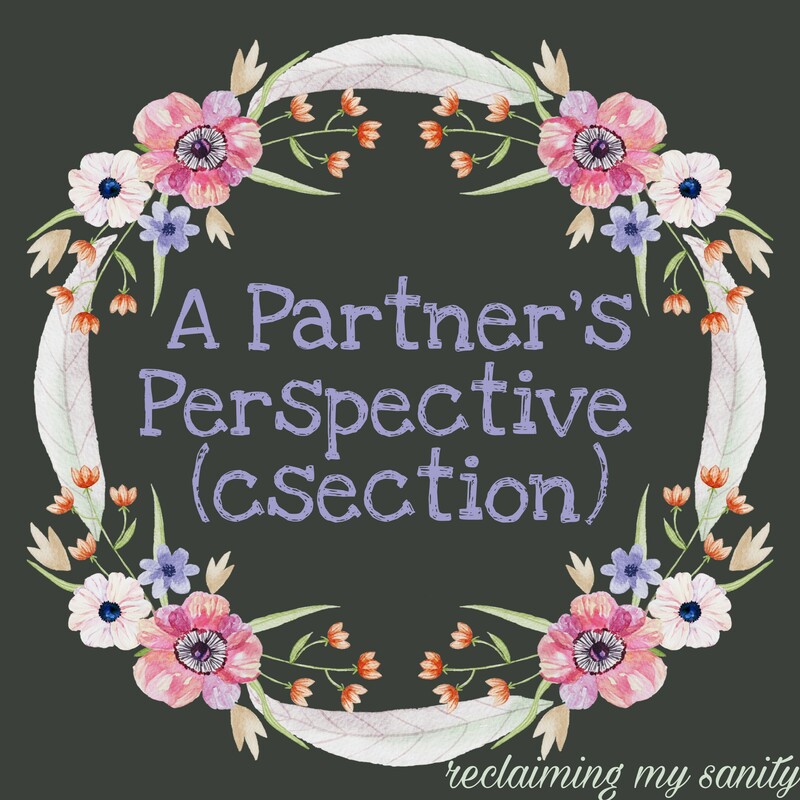 Do your research, is a csection necessary or just convenient for the doctor? Talk to your partner about what they expect of you, so that you can be on the same page. If you are worried about blood and guts, it really wasn’t bad. The doctors do not let you see it. Talk to the doctor to find out what is expected during the process, what you are and are not allowed to do. Express to your doctor your wishes for the csection (like cutting the cord). If there is anything you would like to know or ask, feel free to leave them in the comments below.